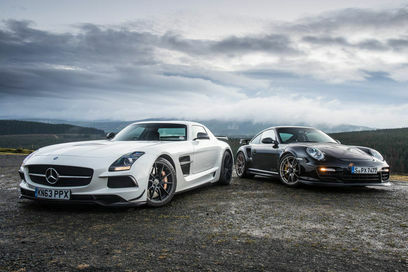 Mercedes plans to continue production of the SLS AMG supercar to half of this year, while Porsche model based on 997 to 911 GT2 RS is no longer in production. With 612hp and 700nm from a 3.6 twin turbo engine, the Porsche 911 GT2 RS seems well-equipped to confront the Mercedes AMG beasts. On the other hand, the SLS AMG Black Series is equipped with an aspirated 6.2 V8 engine, with 622hp and 634Nm. Numbers are not everything of course. At Porsche of six-speed manual transmission, while the SLS AMG Black Series is equipped with the AMG SPEEDSHIFT DCT seven-transfer. On paper, the Porsche seems a bit faster, because it is capable of sprinting from 0 to 100kmh in 3.5 seconds,(US 0-60mph in 3 sec.) 0.1 seconds faster than the SLS AMG Black Series. Still on the course it takes more than acceleration to achieve a good time. 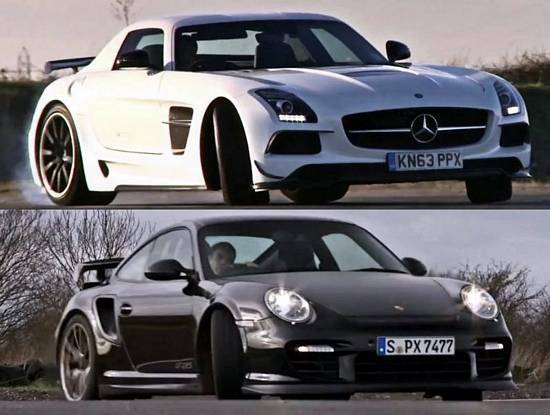 See for yourself which of these two super cars took the title.